Established in 2004, Alisco Designs is a Building Design practice led by Director Scott Keane. While our head office is based in Toowoomba, our services extend throughout South East Queensland, Including Brisbane, Ipswich, Gold Coast and Sunshine Coast regions. Specialising in residential, industrial and commercial projects, we provide complete design and drafting services for private clients, investors, developers and builders. Our vast capabilities ensure that every project undertaken by Alisco Designs receives the necessary care and attention which your investment demands. Whether you are planning a new home, an extension or alteration, a dual occupancy and/or unit development or an industrial/commercial project, Alisco Designs will cater to your every need. We listen intently to our client's needs and design accordingly to suit their specific property and lifestyle requirements. We pride ourselves on our quality designs and documentation, flexibility, accuracy and work ethic together with our integrity and honesty. With the knowledge and experience of our skilled team of people at Alisco Designs, your project is always in the best of hands. Contact our friendly team for an individual and personalised building design service. StruXi is a well established, Toowoomba based business that provides Building Design and Interior Design services for commercial, industrial and residential projects throughout Queensland. Our service area extends outside of the Toowoomba Region to any part of Queensland such as Brisbane, Roma, Mitchell, St George and Mackay. Building design & drafting specialists for new homes, unit complexes, extension & decks. We can also supply 3D renders and walk thoughts for sales brochures. 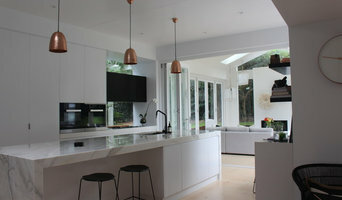 Fusion Building Design offer a professional service with attention to detail and individuality. We provide home designs that are unique & inspiring yet functional & practical whilst ensuring the client’s needs and budget are met, and pride ourselves on our ability to work closely with builders & developers & liaise with interior designers & other consultants at our client’s request. At Fusion our designers are proud to have completed a wide range of projects including contemporary, modern & traditional house plans, home renovations & extensions, multi-residential developments (unit, town houses & apartments), retail, office, and industrial design. At Building Design Professionals we provided personalised and professionals building design for Commercial and Residential projects. Ross Campbell has provided Building Design services primarily to the SW Queensland region, since 1990 trading as Downs Blueprints. 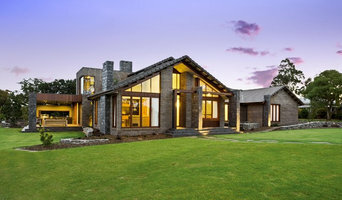 A business built on reputation and attention to clients different needs, has resulted in a wide variety of architectural styles which are apparent when viewing his portfolio. 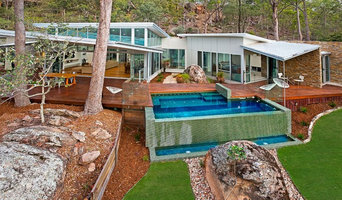 A number of Design Awards including BDAQ State Awards recognise the high quality of Ross’s design skills. 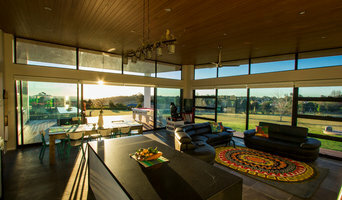 LA & MM Hancock Builders are both Toowoomba builders and Queensland State award-winning builders. We are proud of the range of building services we offer our clients from new bathroom & kitchen renovations; to major extensions; residential units or new homes. One philosophy that we stand by is that no building project is too big or small. We believe in personal service and one on one communication regardless of the size of the build or renovation. From the time you call to begin the building process, you will deal with the builder from start to finish. We will help design and personalise your job to suit your lifestyle needs and most importantly your budget. Your plans or ours, we will help organise your project from design through to construction. Our quality tradesman will carry out your job with the upmost professionalism. Luke will personally project manage your package so the only thing you need to do is move in. If you are in need of that new bathroom, dream kitchen, budget conscious renovation, grand extension or new home, get in touch with us today. Hi, I’m Suz, the Senior Building Designer here at Lockhart Design. ____Personal Service____ If you’re after something just a little bit different, my passion is not just to run a ‘business’, but to spend my days enjoying my work and creating something for clients that is absolutely perfect for them! As cheesy as it sounds, I want to create a Home, not a House! ___Local, Individual, Unique___ I can’t think of anything better than being a creative and individual local business that thinks differently and stands out with unique ideas and designs. Despite running a business that requires a team of people in the background, my passion is still to work directly with my clients and have significant helping hand in each project. Definitely not your ‘run of the mill’ draftie! “Your home should tell the story of who you are, and be a collection of what you love” - Nate Berkus ___Easy-as Process___ I want to assist and organise all of the steps for my clients in the building process. It doesn’t just stop at design for me, I will happily take on all aspects of your pre-build process to make it simple and stress-free for you. Celebrate your new dream home with baseup building. Expect hands-on management, ongoing support and quality building, so you can relax and plan to enjoy your fairytale home. Building – Concreting - Residential – Commercial. As with all other professional services for home design and renovation, the best way to choose a building designer in Toowoomba, Queensland is to asses their past work against the style and requirements you have for your individual project. The role of building designers has evolved from traditional drafting services to building design that takes into account your lifestyle, budget and site condition. Building designers in Toowoomba, Queensland also often work with contractors to ensure that structural elements are in line with desired aesthetics. Once you have a shortlist of building designers in Toowoomba, Queensland, engage in face-to-face talks about your brief, to ensure you’re on the same page. To get the most value for your money, you want someone who understands you, agrees with your ideas – in relation to sustainable design, space and function – and has the qualifications and enthusiasm to translate ideas to paper and into a reality. Look through Photos of house designs to find projects similar to your brief. Then, click through to the professional responsible for your favourite picks, browse their latest projects and read reviews. Once you’ve created a shortlist of Toowoomba, Queensland building designers, strike up a conversation with each one and you’ll be one step closer to the house of your dreams!